Showing 1 - 7 of 7 Products for Distributor Drive Gear. Inner Diameter (I.D.) 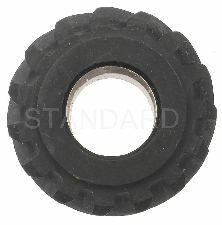 - Inches: .5313"
Outer Diameter (O.D.) 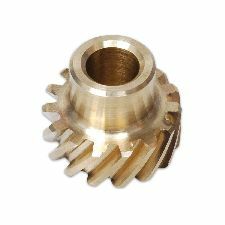 - Inches: 1.435"
MSD Bronze Distributor gears are machined from quality AMPCO 45 aluminum bronze containing 5 percent nickel. 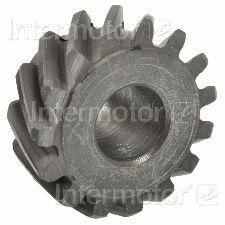 This special combination creates high-strength gear teeth that are less prone to wear even with high volume oil pumps. Features increased outer hardened layer thickness (RC 55-60). Micro polished surface for smooth contact. Proprietary formulated ductile iron. Melonite QPQ coated reduces friction and initial wear. 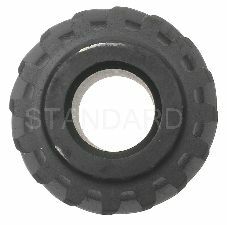 Interstitial carbide concentration improves wear resistance and running properties. 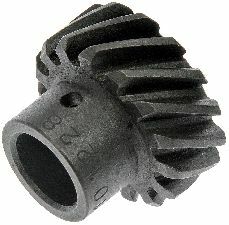 A distributor's performance is only as good as its drive gear. MSD ignition has put a great deal of effort into researching and testing a variety of metallurgical compositions, heat treating and coatings to provide you with a durable, accurate and strong distributor gear. 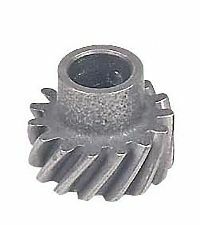 The result is a special iron alloy gear that is treated to a low-friction coating process. To you this means long life, an easy break-in period and reliable performance. Features micro polished surface for smooth contact. Proprietary formulated ductile iron. Melonite QPQ coated reduces friction and initial wear. Interstitial carbide concentration improves wear resistance and running properties.